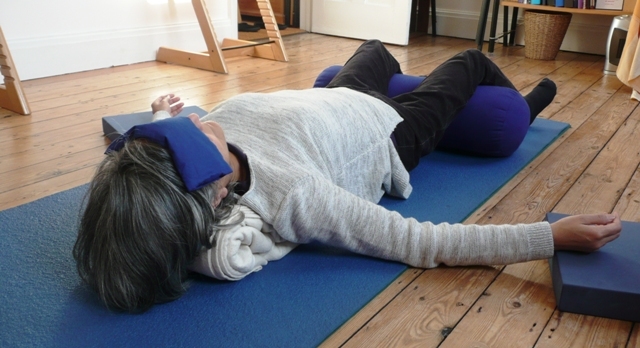 Small, slow, gentle Restorative Yoga class with maximum 3 people in Highbury, Islington, London. To me, Restorative Yoga is a practice in beingness, helping us to remember who we truly are, helping release what blocks us, so that we can be deeply restored and live life from this space of true strength. Deeply nourishing and relaxing way to benefit from Yoga. Suitable for people who would like to benefit from Yoga, but may not find it easy. Every Tuesday, Nov – Dec 2017. Limited spaces – very small group of 3. Please contact me to book a place.